Whiplash, also known as hyperextension/ hyperflexion injury, acceleration/deceleration injury, soft tissue or cervical or lumbar sprain/strain is more commonly the result of rear-end auto collisions or truck accidents. In such collisions, the driver or passengers’ bodies will move forward while their head moves back and then is whipped violently forward. Studies show that both the lower and upper parts of the cervical spine move beyond its normal range of motion during a motor vehicle collision. As a result, the impact can injure tendons, ligaments and muscles in the neck and back. In more serious cases, the vertebral disks can be injured leading to tears and the inner core of the disk to extrude. This is referred to as a herniation and can result in disk injuries or cause irritation on a nerve. Shooting pain, numbness and tingling sensations may occur and which may require surgical intervention. 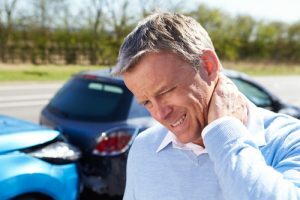 Whiplash and connective tissue injuries can also occur in other types of car or truck accidents, in slip and fall cases, assaults, and sports. It does not take a severe impact to result in a cervical sprain/strain injury. Researchers have reported that even a low impact or slight property damage case can cause serious injury to your tendons, ligaments, muscles. Not every auto accident results in a whiplash injury to the vehicle’s occupants. For many victims, they may only suffer a minor degree of soreness or stiffness that dissipates within a day or so. However, for many other victims, they suffer chronic pain and disability that can last for weeks, months or longer. One aspect of a whiplash injury is that these symptoms may not manifest for several hours, days or even weeks in some cases. This can create medical and legal issues since a victim may delay treatment even when these symptoms appear, not realizing that they are related to the accident of several days or weeks ago or their potential severity. Legally, insurance adjusters for the responsible party may not accept your alleged injuries as causally related to the accident or may feel you are defrauding them. If you denied any injury at the scene of the accident, refused treatment or gave a statement shortly after the accident in which you denied symptoms, this could jeopardize your whiplash injury claim for compensation. If you are involved in a car or truck accident, be sure to seek immediate medical treatment if you feel any symptoms at all including feeling shaken up or some minor aches and pain. At the scene of an accident, advise the investigating officer that you will either seek treatment or agree to have emergency personnel examine you if you are shaken up or are experiencing some shock. Do not give a statement to the defense insurance adjuster or investigator until you consult with a car accident lawyer. You should consider keeping a record of your symptoms, medical appointments, medications, treatments, physicians, and activities that have been affected. If you cannot drive, shop or engage in a particular activity, make a note of it. Your record or diary may be discoverable by the defendant in litigation unless you consult with an attorney and set it up as a memo to your attorney. Any out-of-pocket costs should be documented such as mileage for medical appointments, insurance co-pays, lost wages and medication costs since you can be reimbursed for PIP benefits. If you had to cancel a vacation or could not take on a particular job, document it as completely as possible. In an accident where you sustained wage loss and medical expenses, you are entitled to certain PIP or personal injury protection benefits under Massachusetts law, regardless of fault. This includes up to $8,000 for medical and wage losses but only $2,000 if you have commercial health insurance, whereby your medical provider will provide coverage after the initial $2,000 is exhausted. Any uninsured balance is paid up to the $8,000 limit. Along with pain and suffering, you can also be compensated for further wage loss and medical expenses. 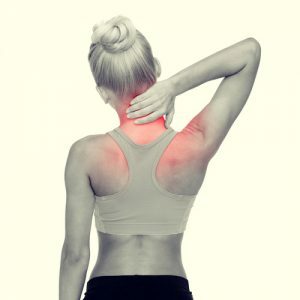 A whiplash injury claim is often looked upon with skepticism by insurance adjusters since visible injuries are often not apparent and diagnostic tests may prove negative. Regardless, whiplash injuries are all too real and can result in chronic pain that can last for years. Call our office today for an analysis of your claim. Burns & Jain does not collect any legal fees for representing you until your case is settled or results in a monetary award.